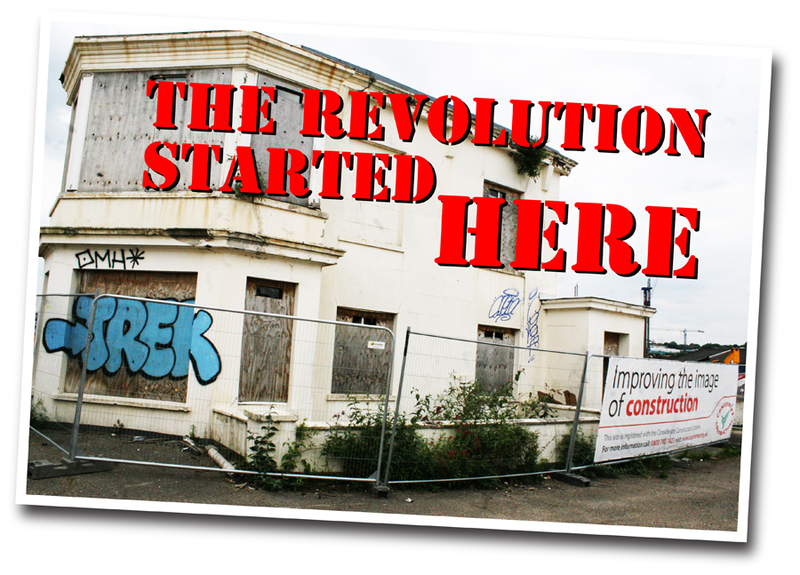 ENDERBY HOUSE, ON THE GREENWICH riverside, is where the information revolution started — and it’s under threat. Alcatel-Lucent, the successor to the company that pioneered international communications here in Greenwich, still makes advanced equipment for submarine cables in its factory behind Enderby House, but the cable itself is made elsewhere. The company has sold off most of its site — including Enderby House — to Barratt, the house-building company. So far there are no clear plans for Enderby House. The listed building has already suffered from vandalism — see the picture above, taken in late May 2014. But a group of locals believes that it should be preserved to show the contribution the people of Greenwich have made to the information revolution. That’s why we have produced this leaflet. This website is here to tell you all about it.